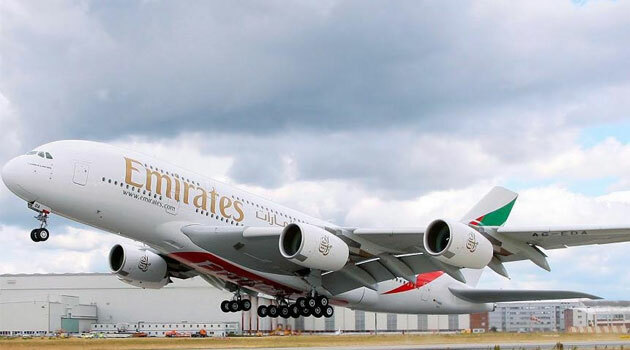 NAIROBI, Kenya, Jan 10 – Emirates has released its biggest offer yet for Kenyan travelers to various destinations in Europe, Far East, America and South Asia. The offer applies to bookings made from January 7 until January 21, 2019 with the travel period from January 13th 2019 to June 30th 2019. Economy Class passengers can enjoy fares starting at USD 649 to Europe, USD 719 to Far East. USD999 to America and USD 527 to South Asia. Business Class passengers can enjoy fares to Europe, Far East, Americas and South Asia starting at USD 1895, USD1930, USD 2723 and USD 1654 respectively. “Whether it is celebrating a special occasion, taking the family on a holiday, making that trip of a lifetime, or attending a reunion with family or friends, there is never a better time to turn those travel resolutions into travel plans. Emirates is offering the chance to explore great destinations at great value, while making sure that journey itself is a great experience. We hope our special fares will help our customers have a flying start to 2019.” said Hendrik Du Preez, Emirates East Africa, Regional Manager.